In infants, hepatitis B virus (HBV) infections are mainly acquired by mother-to-child transmission (MTCT). Current tests for the presence of HBV markers at birth can neither confirm nor exclude MTCT. The aim of this study was to find an early diagnostic marker of HBV MTCT. From 2011 to 2016, we studied a total of 5999 pregnant women who gave birth at our hospital in Shenzhen City, China. HBsAg-positive mothers and their offspring (n=386 pairs) were tested at birth for HBV markers, and 207 infants were followed up at 7-12 months after birth. The HBsAg-seropositive rate of the pregnant women was 12.5%. Additionally, 28.0%, 36.0%, 98.5% and 6.6% of umbilical cord (UC) blood samples of neonates were found to be positive for HBsAg, HBeAg, anti-HBc and HBV-DNA, respectively, whereas for neonatal femoral venous (FV) blood, the percentages were 16.2%, 38.0%, 98.8% and 2.6%, respectively. Mothers with high HBV DNA loads and those who were HBeAg positive were the most likely to have HBV-positive offspring. 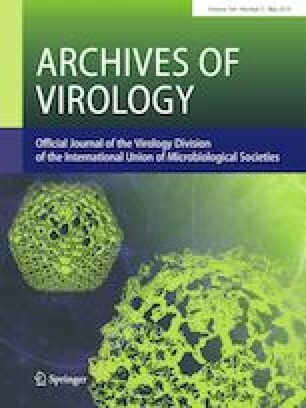 Immunoprophylaxis failed in five infants: the difference in median HBV DNA titer between UC blood from infants with and without HBV MTCT was statistically significant, and there was no significant difference in HBV DNA titer between UC blood and in peripheral blood of infants with HBV MTCT. In conclusion, we found that HBeAg positivity and high HBV loads are strong risk factors for MTCT of HBV and that the HBV DNA titer in the UC is a good predictor for HBV MTCT. Qiu-E Cai and Min Yang contributed equally to the study. This work was supported by the National Science and Technology Major Project (grant numbers 2017ZX10201201, 2017ZX10103011, 2018ZX10711001, 2018ZX10101004), National Natural Science Foundation of China (grant number 81873573, 81800525), Sanming Project of Medicine in ShenZhen (SZSM201412003).